It all comes down to this one day. 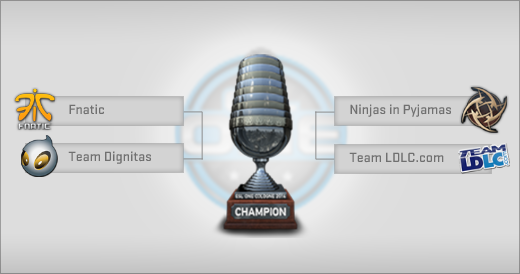 Four teams remain, only one will be crowned the ESL One Cologne 2014 CS:GO Champions. The Semifinals start at 9:00am CET (3:00am EST, 12:00am PST), followed by the Grand Finals at 3:00pm CET (9:00am EST, 6:00am PST). You can also support your favorite team by getting the ESL One Cologne 2014 Legends or Challengers sticker capsules, which are currently on sale.